As the temperature drops and we are immersed in the holiday hustle, one can hardly help but to imagine sitting next to a crackling fire under a soft blanket, sipping on some hot cocoa. Our homes are our sanctuary; a place to find reprieve. Sometimes people can struggle to find the balance between comfort and a pleasing aesthetic. Did anyone else’s father have “that” chair that was too comfortable to give away, but didn’t quite go with the rest of the updated decor? 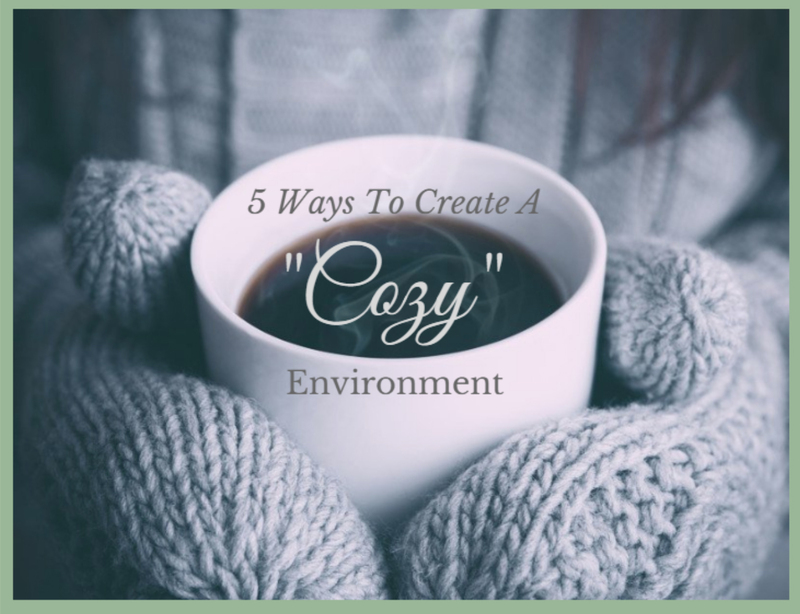 Here are some steps to create an environment that is both stylish and cozy. Declutter: I have shared articles about this on Facebook a couple times and will probably continue to do so because it is so important. 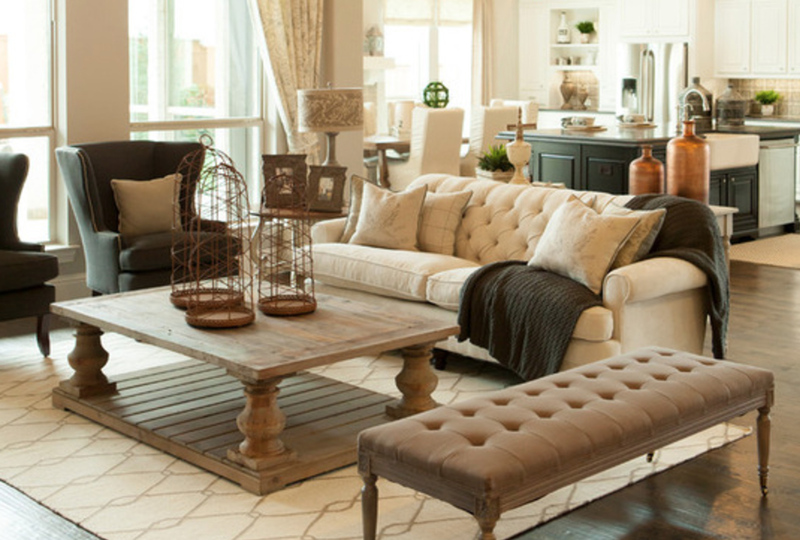 An impeccably styled home can still appear average if it is in a constant state of clutter. For someone to want to come in and sit down, there needs to be an open and inviting space. People don’t want to share their seat with your laundry or tax prep. Also, there is something about clutter that can make a person feel claustrophobic and large space feel small. 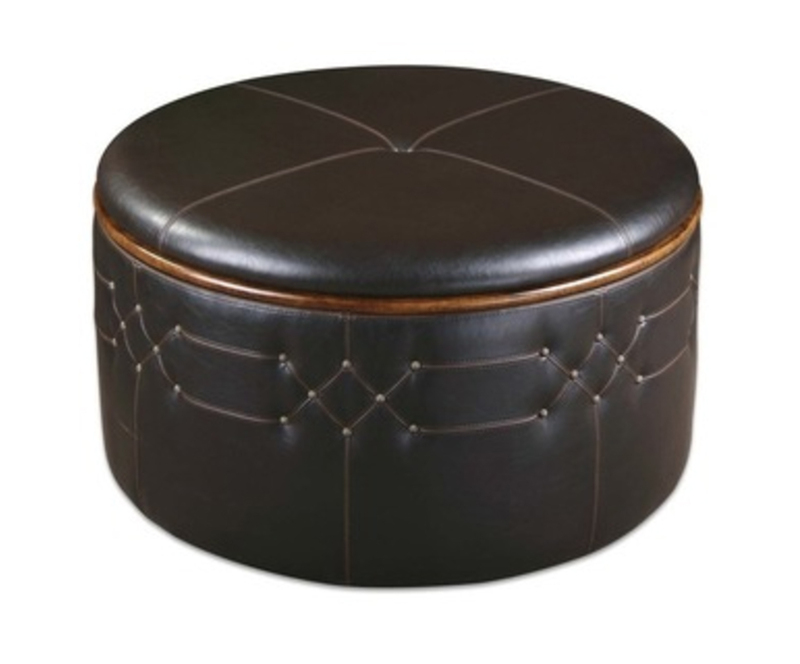 There may be children’s’ toys strewn about, but a quick storage solution like the Uttermost storage ottoman pictured or a hamper allows them to be concealed when needed but easy to access for playtime without compromising style. Seating: Consider what you will be using your seating for. Is this a conversational area or a space where people will gather for TV, or both? For example, if you plan to use this area to kick back and watch TV at the end of the day, you’ll probably want to put your feet up or even lay down. This means you might want to look for furniture that reclines, or at least an ottoman. Be careful in your placement of furniture as well. You want furniture a decent distance apart so that people don’t feel like they are on top of each other, but close enough to provoke conversation. If you get that recliner you should account for about two extra feet when it is in the reclined position. 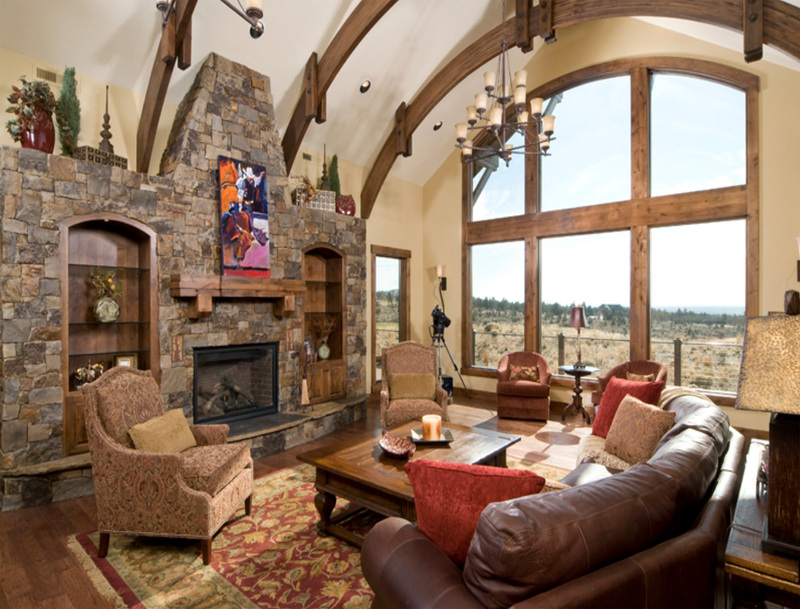 Your furniture does not have to be up against the wall, especially if that wall has large windows. The ideal distance between a piece of furniture and a coffee table is about 18 inches. This Brasada Ranch home I worked on is divided into two separate spaces. Since the room is so large, it wouldn’t feel very comfortable to try to use all the space as one giant seating area. Instead, there is a sofa and two chairs that would accommodate a group of people sitting to chat and then another set of chairs for people to sit in to enjoy the view or read a book. 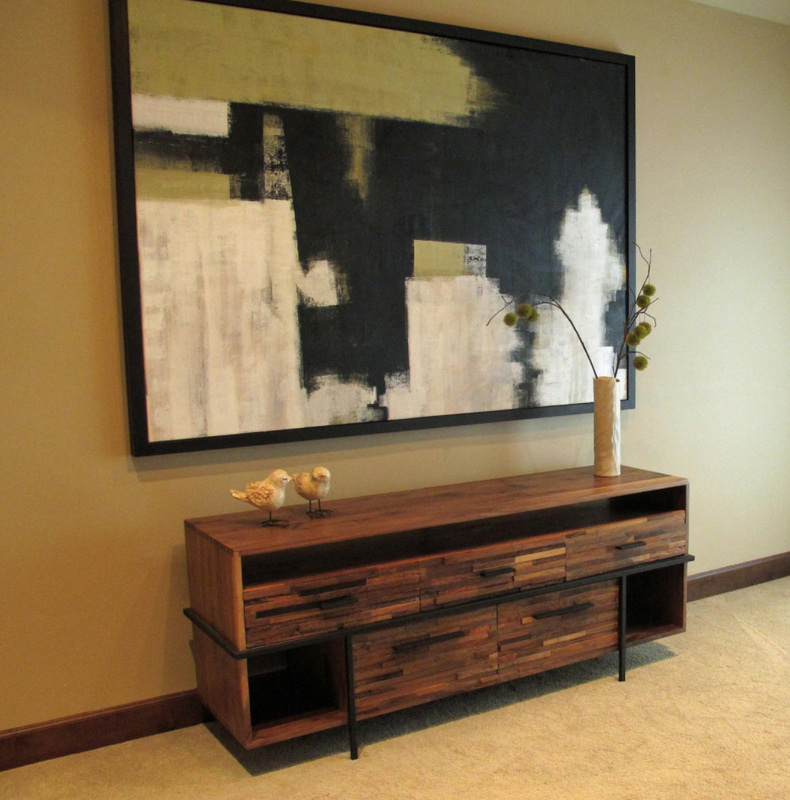 Textures: Texture can add a lot of depth to a room and completely alter how someone may feel in the space. You can casually drape a soft throw over the back of a chair or the arm of a sofa so blankets are readily available for you or your guests to wrap up in. This can also be an easy way to add color and pattern to the area. You want to make sure that your sofa is made of a material that feels comfortable on the skin. Some fabrics can be really durable, but a little scratchy. Throw pillows are a great way to add another layer to your design, even if you are doing a monochromatic color scheme. Look for some in a knit fabric or a soft velvet that will invite people to sit and relax. Some pillows with beads and sequins may look beautiful, but are generally better suited for areas with limited use since they are not that comfortable and can snag clothing. See more of this living room on houzz.com. Colors: I think we can all agree it would be difficult to feel “cozy” in a room painted in bright red or other intense color. Red stimulates the senses and speeds heart rate. Red is still a welcome color, but is better used in moderation for an accent wall, a throw or pillows. An easy go-to color is green. Green has a calming effect, is an easy color to pair with other colors and beautifully enhances natural materials. This art piece in a bedroom from a past project of mine makes a statement without being overwhelming, proving that comfortable doesn’t have to be boring. Lighting: Keep the lighting appropriate to the mood. Having multiple levels of light allows you to customize the intensity of the light depending on the need at that time. Have lamps near sofas or chairs for reading, overhead lighting to illuminate the whole room and utilize natural light when available. For more on this topic, see our Lighting and Design blog post. I hope you find these tips helpful. Stay warm this winter!